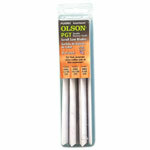 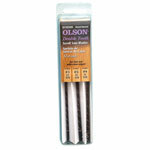 These are the top quality scroll saw blades woodworkers ask for by name - OLSON! 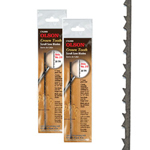 Use these blades with scroll or jig saws manufactured or sold by Delta, Rockwell, Powermatic, RB Industries, Hegner, Sakura, Shopsmith, Excalibur, Rexon, Sears, as well as hand-held fret and jewelers saw frames. 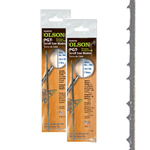 These 5" blades will easily handle precise cutting of irregular shapes and straight cut off applications in all types of sheet materials.